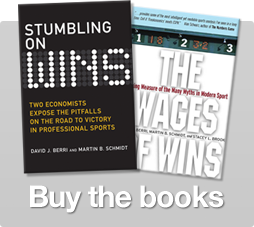 Wages of Wins: Superbowl Sunday! What better activity during Superbowl Sunday than a podcast on a week old trade? The Celtics teach how to go undefeated without your star. Dre examines the Celtics recent winning streak sans Rondo, and if they should be optimistic for the future.